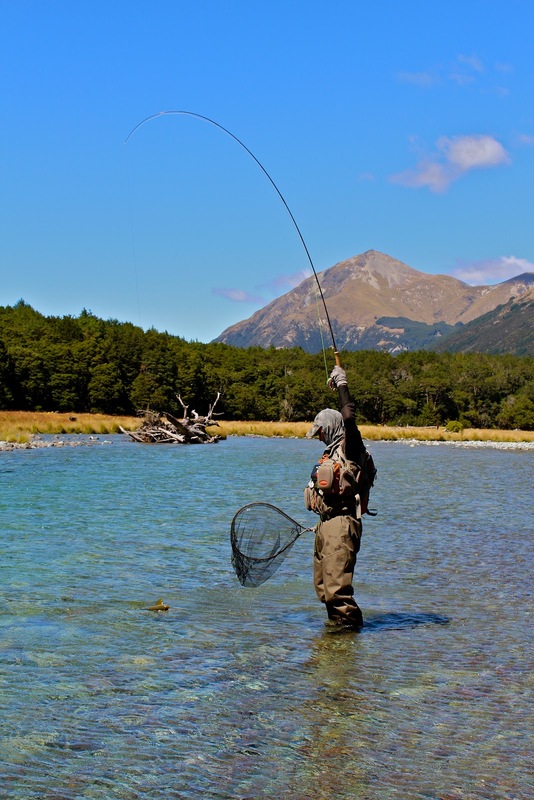 The Glenorchy Region offers what we feel as some of the best fly fishing in all of New Zealand. Boasting everything from good food and drink & hospitality in the remote south west coast of the South Island. We made our home in the Glenorchy Hotel & Backpackers, as this provided the most central base for us to operate from. Leaving us only a 30 minute drive at the best of times to access the major Rivers, this location made it ideal to get around without spending a vast sum of money. The Glenorchy hotel and backpackers accommodates some of the best food and wine available. Both their pub menu and restaurant menu has some great choices that come from the local area and just reading through the menu makes your mouth water. Most evenings can be spent enjoying the bar entertainment and sharing fishing stories with locals and other visiting Fly Anglers visiting the area. But the one thing that stands out above all for me is the warmth and informal approach we received from the Landlord Tim. 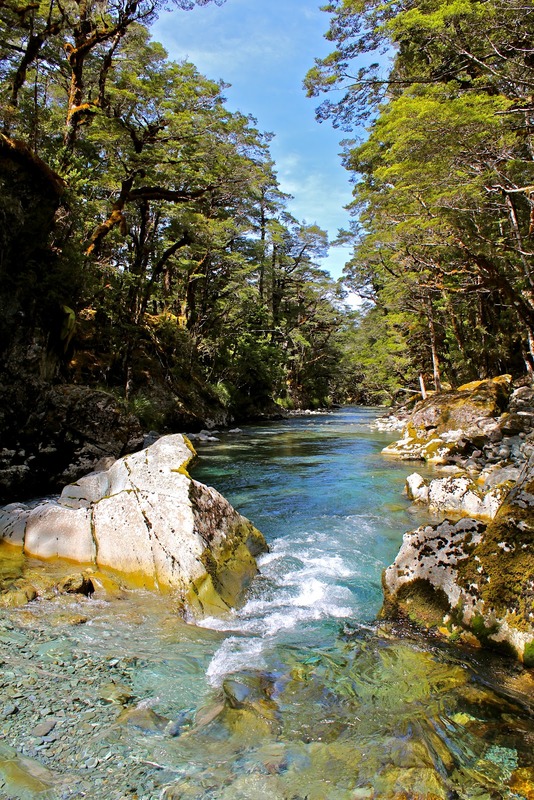 Everyone that comes to this region of New Zealand NEEDS to come and visit Tim & The Glenorchy Hotel & Backpackers as this can ensure some of the best, if the not the best fishing they will experience here in New Zealand. It certainly paid off for us, as we found ourselves over 2 weeks worth of top quality river and lake fishing with ease. And man we caught a lot of fish. Tim welcomed us with open arms and was happy to share valuable and up to date information, with regard to the local area and the fishing it had to offer without having to flee out of the region. And get this, they even had flies that they sold from their shop that were all carefully selected for the Rivers and lakes of the area (thats dedication towards helping the fly fishers. This is the only point of our adventure in NZ where we actually made base for longer than 4 days. I mean this in a positive way, as it allowed us to slow down on tearing around the country folking out money for food & fuel every 5 minutes. Throughout our stay at the Hotel, Tim made the effort every day to come see how we were getting on fishing each venue and offered advice on where would be our best bet to fish the next day, depending on the weather conditions. Tim just seemed to be this file-a-fact of knowledge which all worked in our favour. The best bit I loved about the hospitality we received was the fact that all the staff were so friendly and always happy to have a conversation and seemed never too busy to have a chat even when run off their feet made this a memory that will never be forgotten. One night in particular, Steve had headed off to bed for an early one. It was a friday night and I decided to head to the bar for a few pints. As I walked in the bar there was a great atmosphere with the locals and residents talking away or watching the football on the live sports channel (which us Brits cant live without for too long). I could see Tim at the far end of the bar chatting with some customers and drinking a glass of wine. Tim kindly invited me over and introduced meet to some of the local guys, who were also keen fisherman. We drank quite a few pints that night and had a laugh or two and even shared fishermans tales long into the night. In my eyes a perfect way to spend an evening. During our stay in Glenorchy we visited 5 rivers of Tim's recommendation and everyone was true to Tims word. From numbers and size of fish and also rivers we should avoid for various reasons such as, Angling pressure, Floods or weather. Making the experiences hassle free and a joy because everything ran smoothly. Towards the end of our stay, we experienced some pretty unstable weather, which can be a nightmare as it can mean hard fishing and can even ruin existing plans due to river flooding. But Tim ensured us that even though we were keen River Fisherman, the lakes within the region were not to be missed and would still perform during the low pressure we were stuck in. With this information, we decided to go hit up a couple of lakes close by. Once again we were amazed at how accurate Tim's advice was. Catching stacks of fish that were easily sightable even in rough overcast conditions. The pictures that follow speak for themselves. During our stay we made home in the backpackers accomodation as this allowed us the freedom to stay up late and just kick back and relax. It also allowed us to use the facilities such as the washing machine & drier available, to get all our dirty stuff washed. With a tv and self service cooking area it allowed us to have a quiet one on days where we were feeling a bit tired and just fancied a relaxed evening before getting to sleep. In my own words, "Go to Glenorchy book a couple of days in the Glenorchy Hotel and Backpackers and enjoy the amazing experience and service that we received for yourselves as you won't be disappointed". The perfect way to spend a holiday whether traveling, tramping, shooting or fishing or even just sight seeing in one of New Zealands most beautiful regions. This destination and its accomodation will provide you with the ultimate experience.